A career in law has always held a place of honour in civilised society around the world. A highly prestigious career option, law offers multitude of career opportunities in various fields and sectors where right interpretation of law is important for following the rules and regulations prescribed by the government agencies. It is important to note that law graduates are the only one whom are qualified to work in all the three branches of the government: judiciary, executive and legislative. A decade or so back, law graduates had limited areas of operation where they could apply their knowledge. Majority of the lawyers worked in various courts across the country while few were employed by corporations who required their services to carefully interpret various aspects of labour laws, tax laws and sundry other laws that needed careful interpretation. Many sectors immensely benefitted by the economic liberalization carried out by in early 1990’s by the then finance minister Manmohan Singh. Law sector was one major beneficiary of open door policy of the government as it opened new vistas of career opportunities for law students. Law graduates of top law colleges in Delhi or for that matter top law colleges anywhere in India suddenly witnessed their demand soar as both national and international required their services to carefully implement the new set of rules and regulations brought in by the government in face of economic liberalization. Opening up of country’s border and emergence of India as a hot outsourcing destination, has taken popularity of law courses to an unprecedented level in the country. Advent of MNCs and LPOs (legal processing outsourcing) firms and emergence of new sectors and the subsequent introduction of laws governing them has taken this prestigious profession out of the realms of courtroom to corporate boardrooms and beyond. The option of privately practising law is still the most popular option for law graduates, but it is not the only option open for law graduates to make a good living. It is the reason the demand for law degrees have soared in recent times as students know that they can good very good return on their investment if they obtain their degree from a top quality law school. MNCs and LPOs offer top salary and perks to law graduates who have obtained their degree from well-established law institutes located across the country. 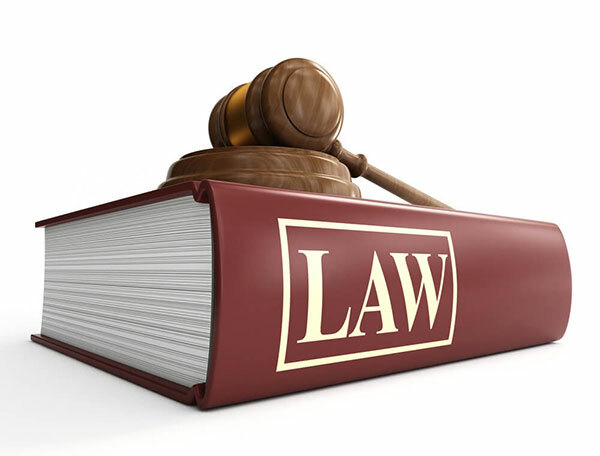 In the following paragraphs we shall look at some of the popular law courses or degrees offered by law schools in India. We shall also emphasize the importance of taking admission in a law school known for its relevant and modern law courses which offer a judicious mix of theory and practical. B.A.LL.B (H) is one of the more popular courses chosen by students interested in studying law. It is a 5 year integrated program which gives the benefit of covering two academic courses under one program. Usually a Law program can be pursued only at a post graduate level but an Integrated Law course covers a Bachelor’s Degree course as well. B.A.LL.B (H) is a combination of study of Law and Arts subjects. In the age of globalization, B.A.LL.B (H) provides a unique tool to the students to pursue a viable career in multinational corporations and corporate legal firms. However, you need to understand that it is not easy to gain admission in this course in a top level law school. Admission to government owned or private law colleges in Delhi NCR or any other parts of the country is also offered through different competitive law entrance tests. You can gather more information about these tests as well as the admission criteria on the net or ask your teachers or friends about it.